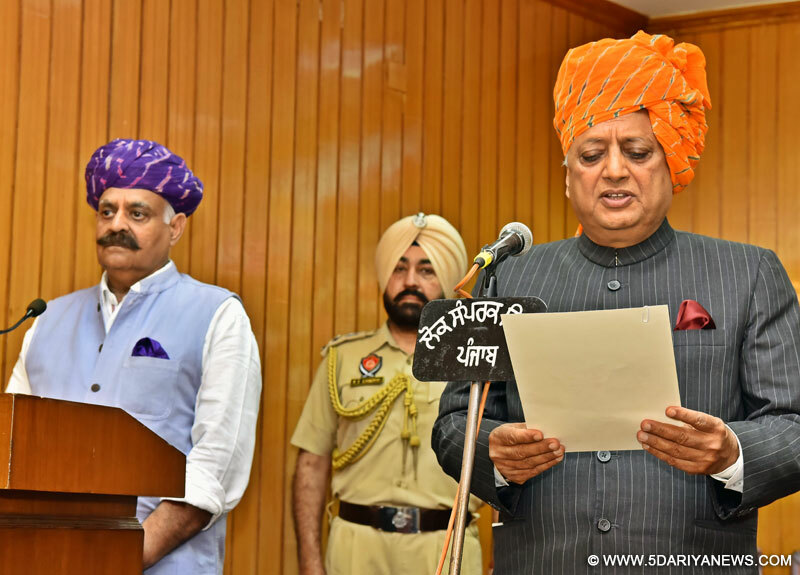 Punjab Governor Mr. VP Singh Badnore on Monday appointed Rana Kanwarpal Singh as Pro Tem Speaker after administering him the oath of office as member of the 15th Vidhan Sabha.Rana Kanwarpal, MLA from Anandpur Sahib, was sworn in at a simple but impressive ceremony at the Punjab Raj Bhawan. Chief Secretary Mr. Karan Avtar Singh conducted the proceedings of the oath-taking ceremony.Disclosing this here, a spokesperson of the Chief Minister's Office said that the Governor, while exercising his powers under the Article 188 of the Constitution of India, appointed Rana Kanwarpal Singh as the Pro Tem Speaker, who will in turn administer the oath to all other elected members of the legislative assembly when it convenes for its maiden session later this week. Rana Kanwarpal Singh took the oath in Punjabi in the presence of Punjab Chief Minister Captain Amarinder Singh.